Adorned with 30 beautiful stories from Ruskin Bond, the book Night Train at Deoli and other stories effortlessly makes in to the must-have, must-read list of every reader. Simple, heart-warming and thought-provoking stories will take you to heavenly grounds of Dehradun and Mussoorie, where the author himself has spent his childhood and teenage years. The stories in the book speak of simple folk, who live in the technology untouched valleys and hills, the lush greenery and little crowded markets. Though the book does not contain any suspense or murder mystery, it is sure to feel you connected with the author's idea of beauty, his anguish, joy and pain. 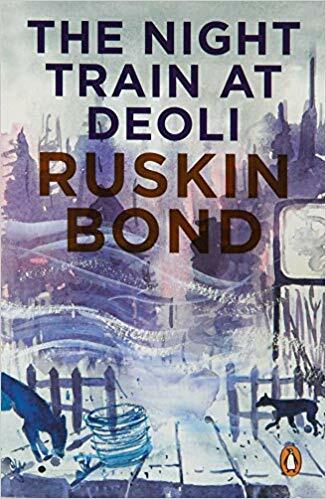 Ruskin Bond's Night Train at Deoli offers you a perfect escape from the hustle and bustle of daily life and fills you will serenity as you learn about the beauty in simplest pleasures. A book filled with small doses of heart melting stories- a book that's loved, admired and recommended by many. Ruskin Bond is one of the most popular writers of India of British descent. His first novel was The Room on the Roof, which he wrote at an age of seventeen and earned the John Llewellyn Rhys Memorial Prize in year 1957. His works can also be seen in text books of almost every school. Apart from novels, he has written several essays, children books and poems. In 1993, he received the Sahitya Akademi Award, while Padma Shri in year 1999. He lives with is adopted family in Landour near Mussoorie.